I have always been a language and linguistics lover. I was born in the Middle East which means I grew up speaking Arabic at home. However, because I was so young, I lost any ability to read and write when I moved to the USA. As a new resident of the States and an immigrant, I had to learn English. My parents continued speaking to me in Arabic but my knowledge of English quickly progressed and overtook my Arabic skills. And so on. These were mini skits that didn’t make me fluent in French by any means but they did instill in me an even greater love for foreign languages. In high school, I decided to take Spanish and I took it as a freshman until I graduated. College years arrived and I decided to major in Spanish, minor in French and I took a few Arabic classes to regain my writing and reading skills. I also dabbled in a few linguistics classes which I found fascinating. It’s been an interesting ride but sadly, I’ve lost much of both Spanish and French because as the cliché goes, when you don’t use it, you lose it. I have no native speakers around me so my only practice comes about when I travel overseas. And even then, it’s meager. It’s always a little depressing thinking about how all my years of study have been kind of wasted and how badly my language skills have deteriorated. 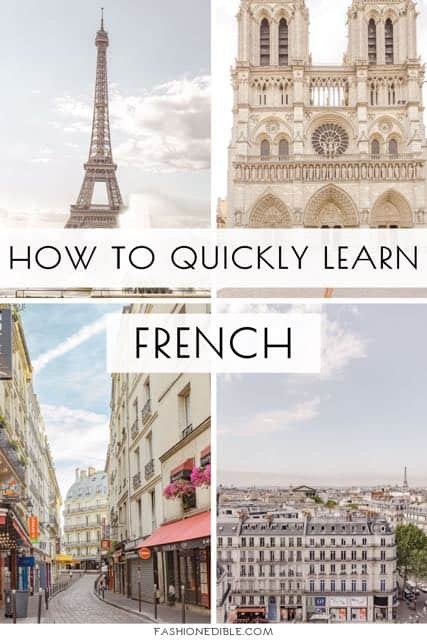 I’ve always thought learning a language as an adult would be great, though maybe a little difficult, but until now, I wasn’t sure how to learn French effectively or what the best ways to learn French were. I knew I wasn’t motivated enough to teach myself by using books, even though I still have all my college language books. I needed a program that could guide me along the way and keep me accountable while tracking my progress. I needed something that would make it easy and convenient, something I could do from home; an added bonus if I could continue with it to learn an entirely different language. What is the best way to learn French online? 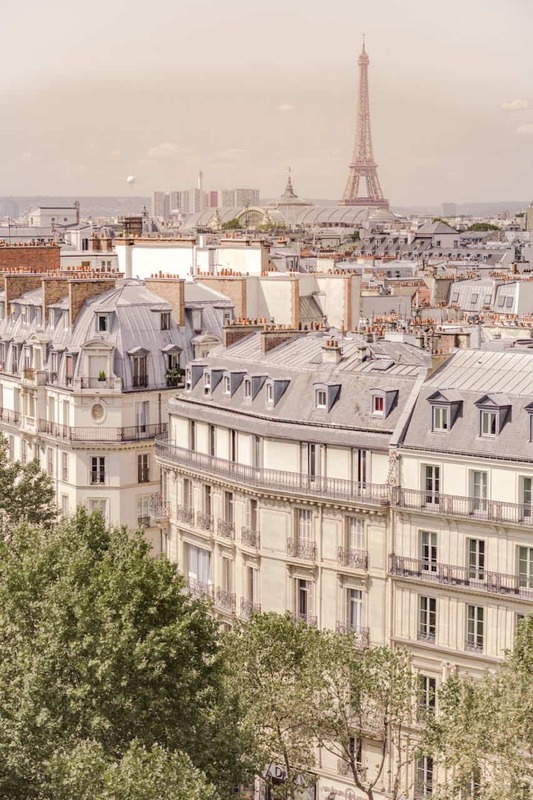 Rosetta Stone makes learning French as an adult easier by dividing out lessons into units and by employing visual cues to develop linguistics and vocabulary. I’ve enrolled in French as I want to strengthen my knowledge of the language. 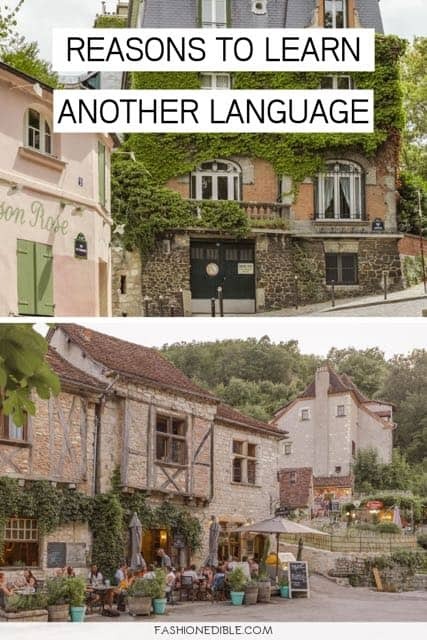 I travel constantly and have always thought a more thorough knowledge of French would come in handy (previously I’ve used broken Spanish to converse in Italy and my very meager knowledge of French to try to get around in France). Ultimately, I want to be able to speak French fluently and be able to understand it spoken back to me. Learning French has always been a goal and even though I came pretty pretty close to intermediate fluency in college, I’m now back at square 1, the beginner level. 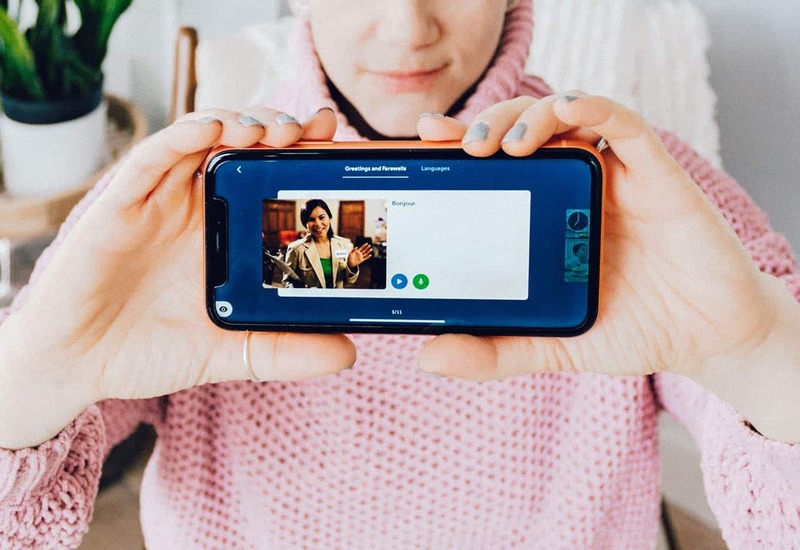 Rosetta Stone takes a modern approach to learning languages. 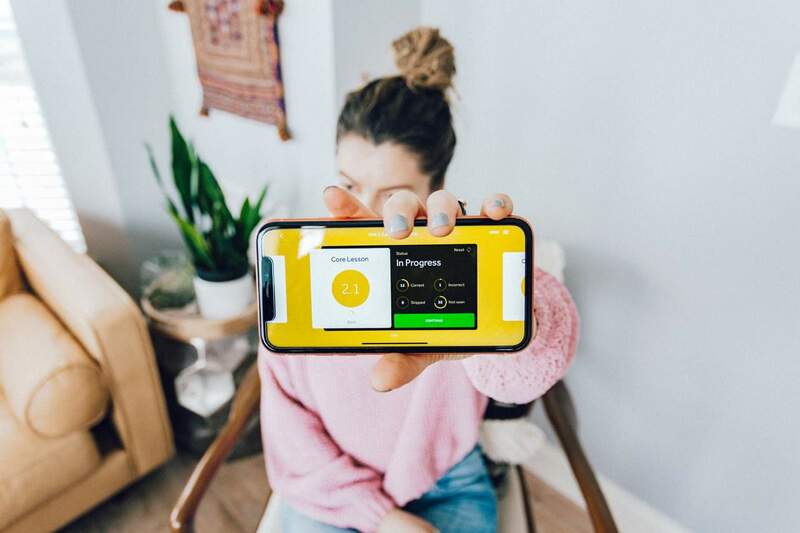 You can download the app, sign up for an account and within minutes, you can begin your French course or whatever language you choose; Rosetta Stone has more than 30 different languages to choose from. 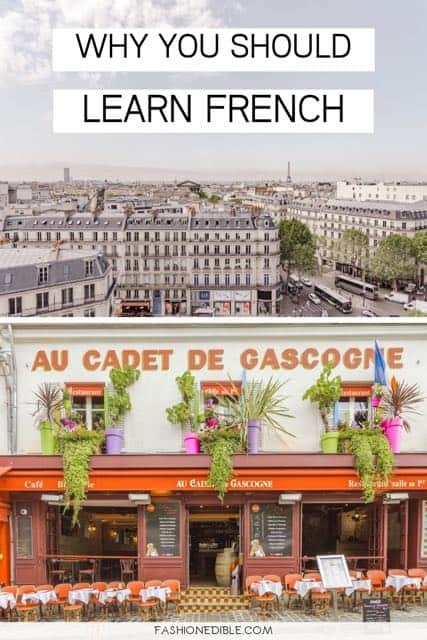 Each lesson has a different emphasis: some are focused on French grammar while others on pronunciation: a native French speaker will pronounce several words and you have to repeat them, and yet others have you exercising your French vocabulary through a series of photos and phrases that you have to match together. Each lesson takes anywhere from 5-10 minutes to complete and you can even choose to repeat a lesson if you feel that you made too many mistakes and need a redo. The entire course is comprised of 20 units while each unit contains approximately 31 French lessons. 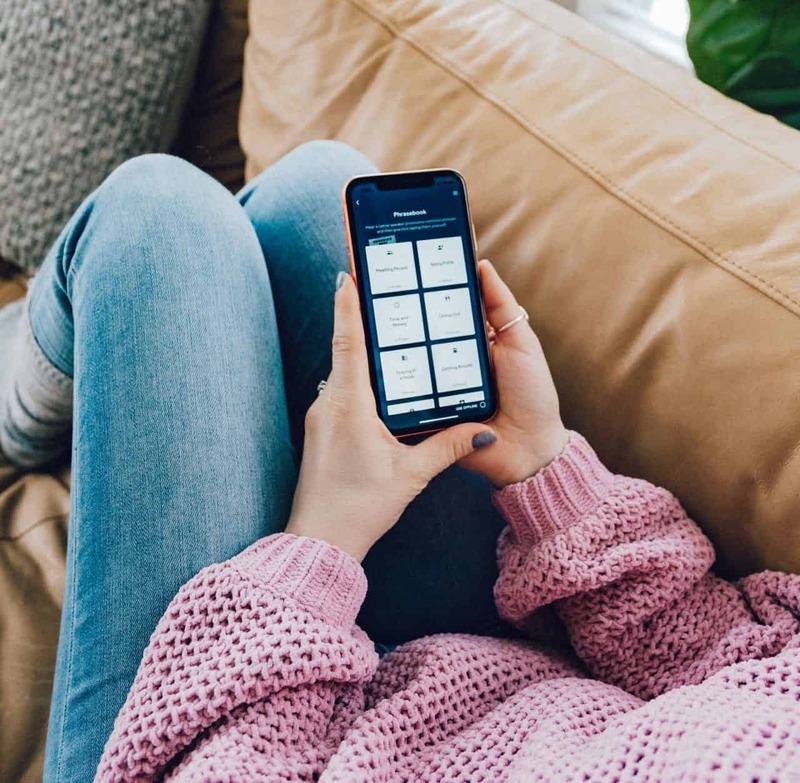 Rosetta Stone has designed the app in such a way that if you practice regularly and go through all 20 units, you can become conversational in French. 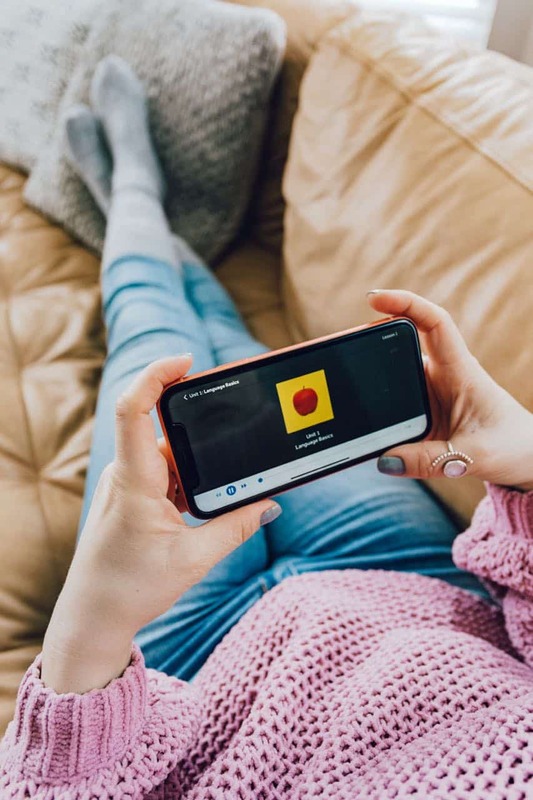 Rosetta Stone also provides an Extended Learning section that is divided out into 4 different categories: Seek & Speak, Phrasebook, Stories and Audio Companion. 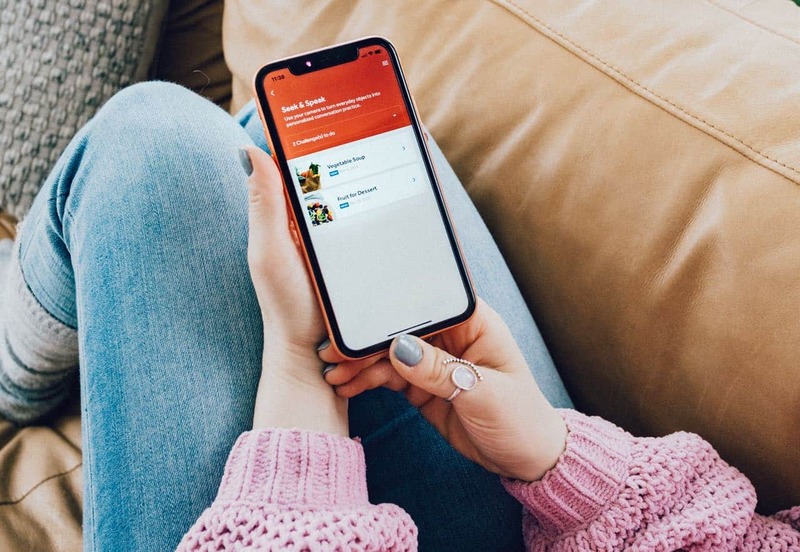 Seek & Speak is one of their newest features that allows you to photograph a specific list of items that will be turned into a conversation. You’ll be speaking French and carrying on a conversation relating to whatever it is the challenge is. For example, my first challenge was “vegetable soup”. I had to find 5 vegetables to take a photo of and then the app turned it into a personalized conversation. 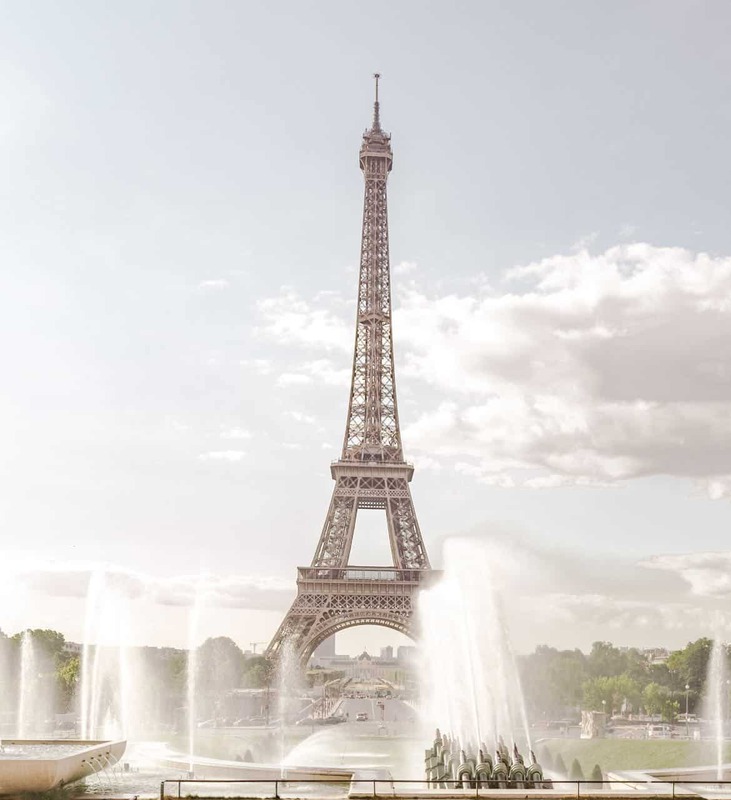 Phrasebook is perfect for travelers headed to France as they have commonly used words and phrases for the most common daily activities, including asking for directions and ordering food. 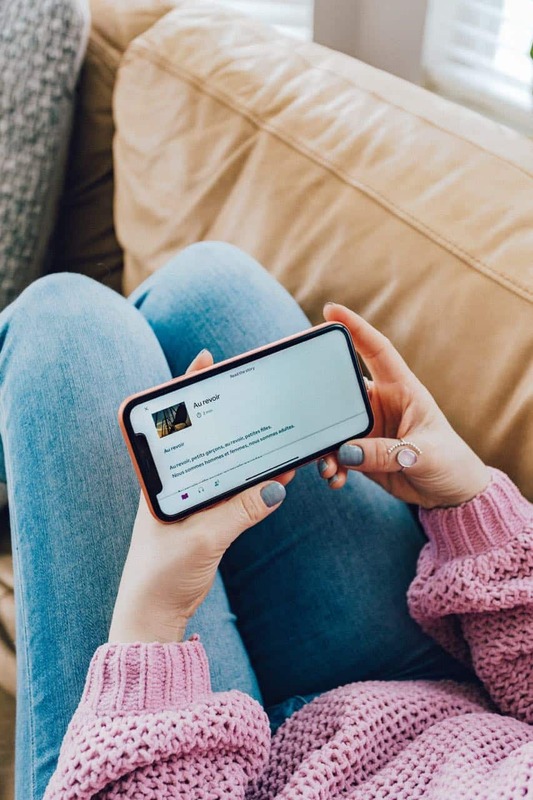 Stories is an exercise in pronunciation where you can have a story read to you and then you record yourself reading it; you can actually playback your recording to see just how correctly or incorrectly you pronounce things. And finally, Audio Companion is list of French audio lessons that you can download to your phone. This feature is great as it allows you to utilize the app even when you don’t have access to wifi. You can listen to them as you would a podcast to immerse yourself further in the French language. The fastest way to learn French is to immerse yourself in the language on a daily basis. It’s difficult to do when you’re living in the USA and you have no French speaking friends; however, you can employ several tools to help you learn French quickly. Besides using Rosetta Stone, you can watch movies in French to supplement your lessons. You can also join local French clubs or find others in your area who want to learn as well. This will allow you to expand on your daily lessons and be able to practice the vocabulary you pick up. If you already know a Romance language, I would say learning French as a second language is much easier. There are many words that are similar; for example, the Spanish word for love is “amor” while the French translation is “amour”. At times differentiating the two languages does become a challenge (especially when you’re learning them simultaneously), but most of the time, it makes conversing easier and allows you to pick up French more quickly. If you’ve already got multiple languages under your belt, then it should only become easier. 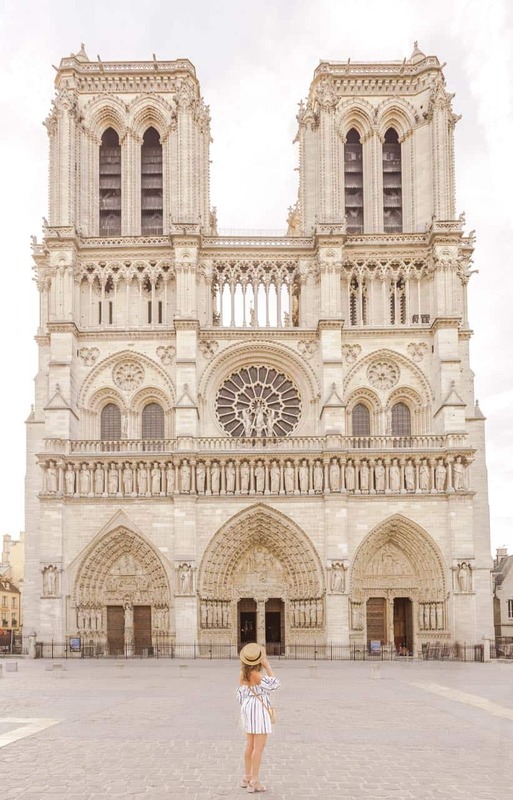 French culture is also important and the best way to expose yourself to that is to travel! 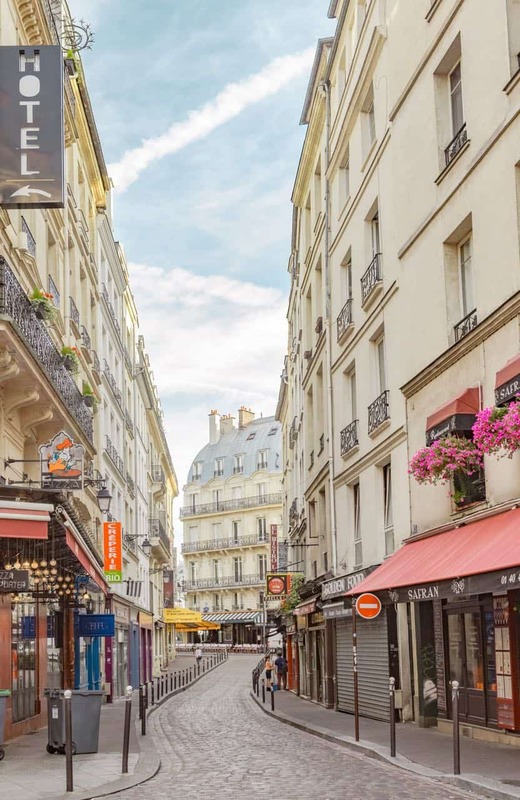 After all, that’s the point of this blog and what better way to motivate yourself to learn French than to plan a trip to France. There’s nothing like traveling to try your hand at putting all that French learning to good use. The Rosetta Stone app has a phrasebook section specifically aimed at travelers and is a great reference guide while you’re traveling abroad. You’ll have countless opportunities to converse with the people there and you’ll learn the culture and traditions of the country in at the same time. Try heading to smaller towns for the best and most authentic experiences (usually locals in a small town will only converse in French). Many people have long commutes and what better way to fill that commute than with a little language learning. Through the Rosetta Stone app, you can access the Audio Companion section. Unit 1 is all about Language Basics – repeating words like Bonjour, Au Revoir, un homme, etc. The French speakers give you a few seconds to repeat the words after them and it’s a great way to fill up time while you drive. Each unit (20 in total) has 4 downloadable audio lessons. Maybe it’s because I’m a language nerd or maybe it’s because I’ve had so many experiences with foreign languages, but I think the importance of learning languages is crucial to understanding the world and its inhabitants. I think it’s even more important if you plan on traveling extensively and I definitely think learning at least one other language can only benefit you in your life. Opens your world – Studying French or any other language opens your mind to a different world outside of your own culture. It allows you to experience something outside of your bubble and if you have the opportunity to travel to the country where your language originated, then it gives you the satisfaction of being able to feel (in a very small way) a part of something else. Increases your opportunities – I firmly believe that knowing another language (albeit fluently) increases your future opportunities whether they relate to your career or otherwise. It’s a great resume addition and you never know when something like it will come in handy down the road. Exercises your mind – If you’re not sold on the idea that your career may benefit from learning an extra language, then maybe this point will. Languages exercise your mind through memorization and cognitive recognition. As adults especially, we have to constantly challenge our mental states; otherwise, we regress. Studying language does just that. You have to constantly recall words from memory and while it’s not easy, it’s a great mental exercise. Makes travel more fun – You can’t deny that travel is much more fun when you know the language of the country you’re traveling to. You don’t have to question signs, wonder what people are saying or feel nervous in an unknown situation. Best of all, you can communicate with others in their local language and carry on sweet conversations with people you meet. After all, travel is all about experiences and making memories. So if you want to broaden your horizons and you’re thinking you would like to get started with learning a new language, then check out the Rosetta Stone website. 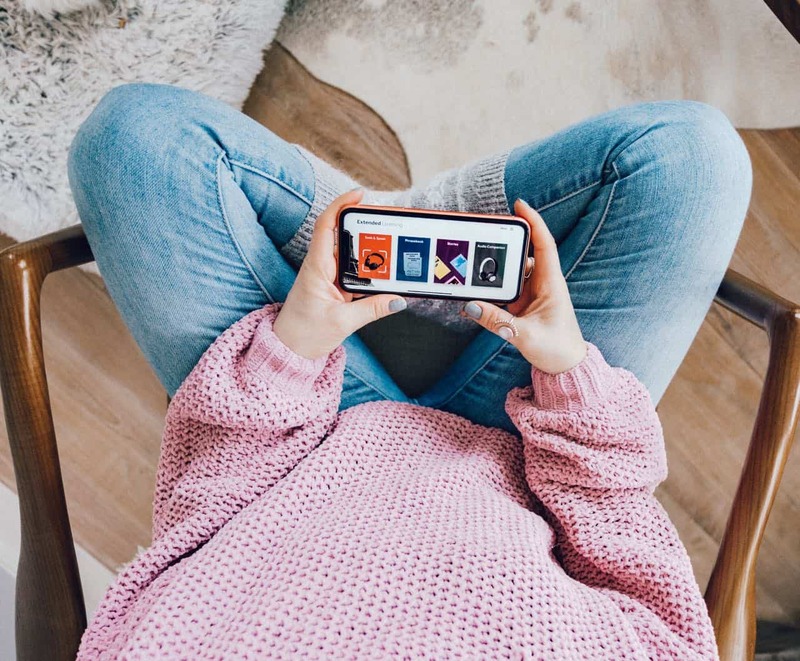 They offer 3 month, 6 month, 12 month and 24 month subscription plans for you to choose from. The longer of a term you commit to, the less it costs per month so I would probably opt for either the 12 month or 24 month plans. Next Post Best Europe Itinerary? Here’s our top 11!